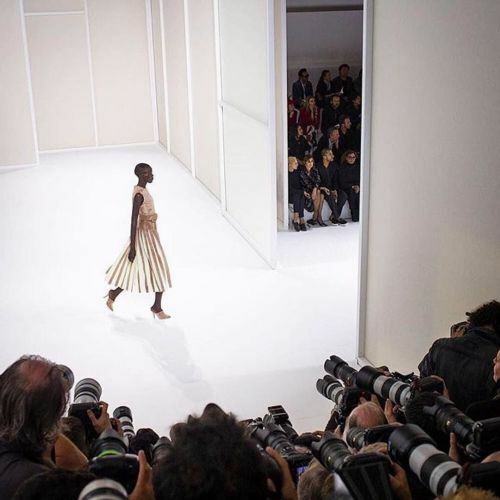 "Earlier today in Paris, @landonnordeman joined a few other photographers at the @Hermes show. The event took place in front a slightly bedraggled and damp crowd of fashionistas, many caught off guard by the arrival of an unexpected rainstorm. Follow @landonnordeman, one of the photographers documenting #Paris Fashion Week for @nytimesfashion, to see more #pfw photos. #regram" By nytimes on Instagram.